District 7850 revealed next year's destinations to three high school students recently in Waterbury. Surrounded by this years group of inbound students from around the world, Liam. 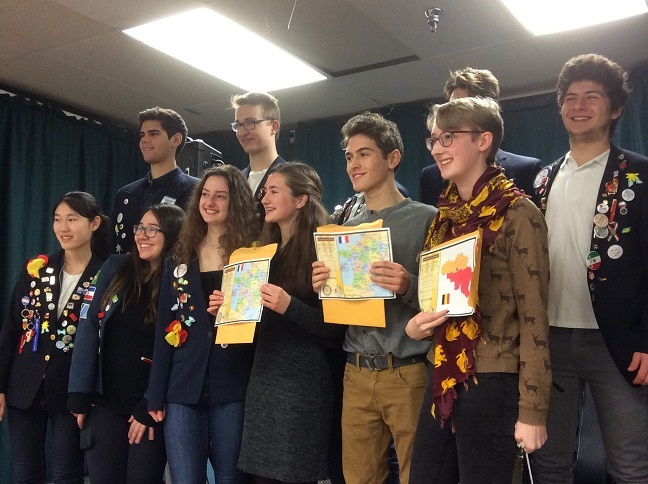 a sophomore at MUHS (center with the map), learned that he will spend next school year in France. Among those congratulating him was Nao (far left) one of the two exchange students our club is sponsoring this year. Nao is from Japan.